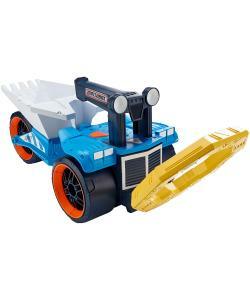 Includes 4 x AA batteries. 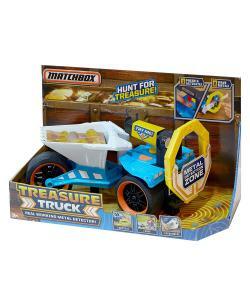 Search for buried treasure with the Matchbox Treasure Truck. 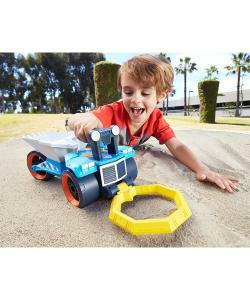 This vehicle is rugged and large, and has a durable design for lots of adventurous play. 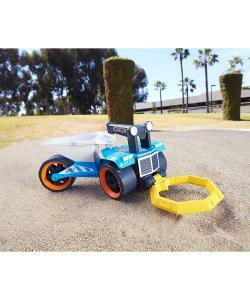 The rolling wheels make it great for indoor or outdoor use and the truck has a real working metal detector for discovering lost items in the dirt or sand. 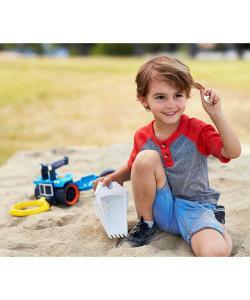 When there's metal below, the antennae will signal with a beep and then the scoop can be used to sift through the dirt and sand. 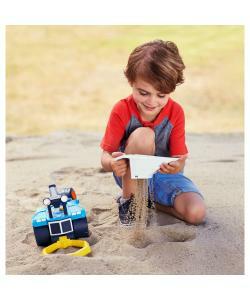 The scoop will let the sand fall through so that only treasure remains behind for all-day excavating fun.